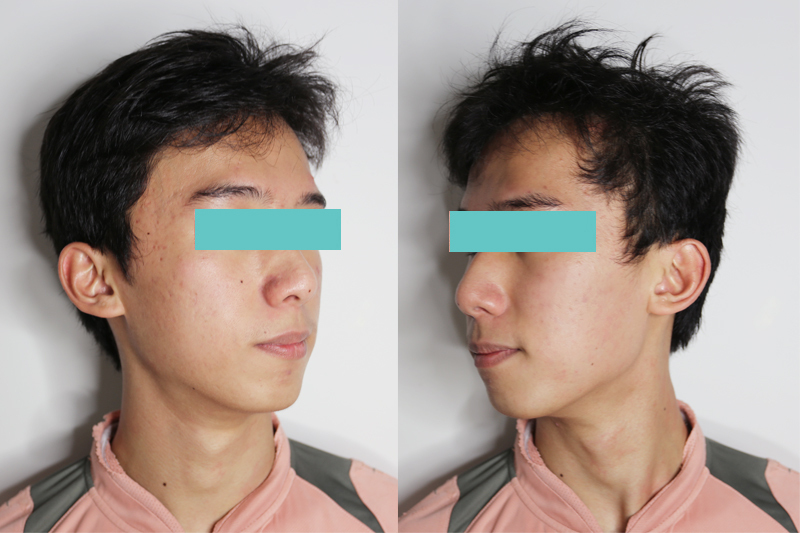 Acne and pimples, are one of the worst things that can happen to anyone while growing up. I myself have gone through several phases where my acne have broken out so badly that I have entirely lost the courage to step out of the house. 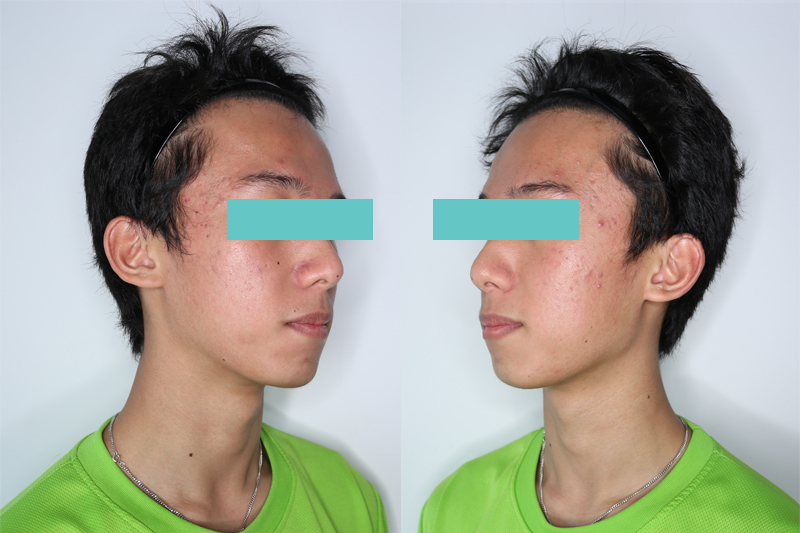 For those of you who are going through acne, do read on! I just might have the solution for you! 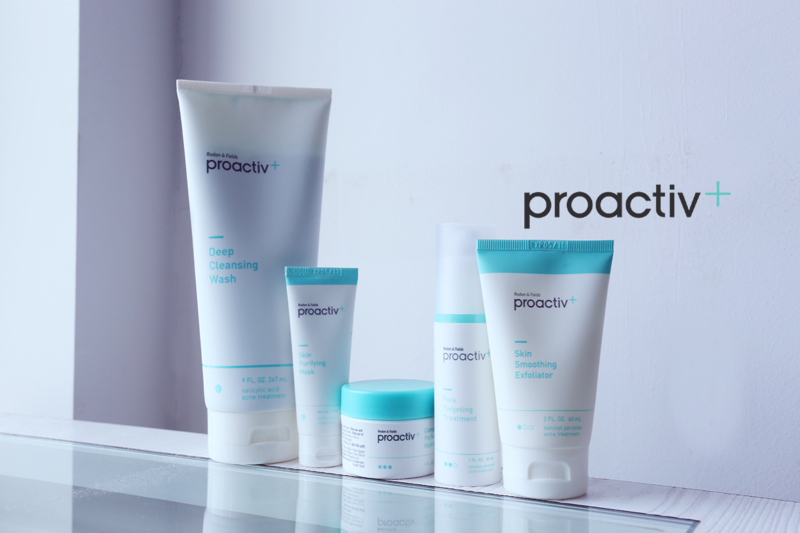 Years back while I was finding ways to treat my acne, I came across Proactiv®. 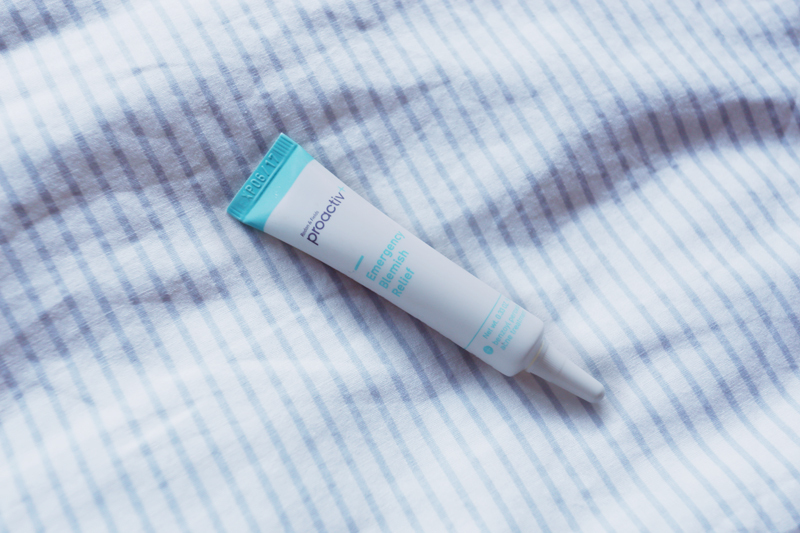 Upon researching, I have learnt that Proactiv® is one of the more renowned brands associated with treating acne and has proven to help many around the world who were battling acne. 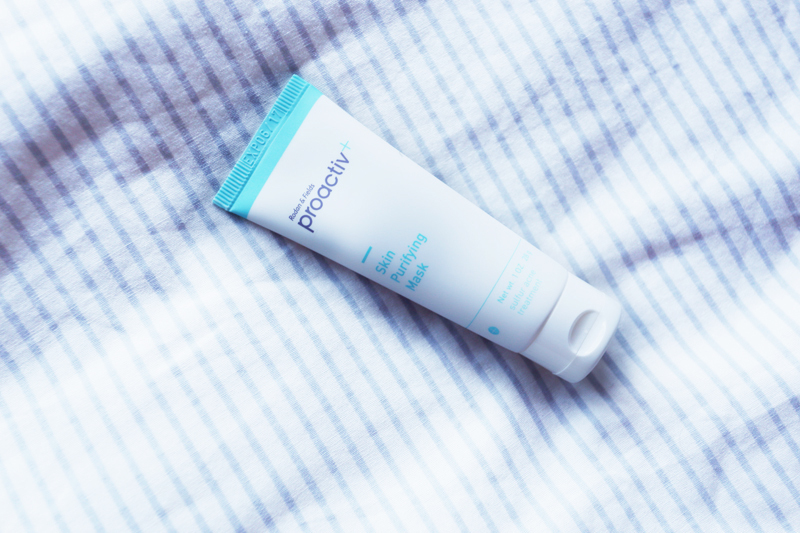 For those who have heard or used Proactiv® you probably would have come across their 3-Step Anti Acne Treatment which is one of their main and best-selling products from the brand. 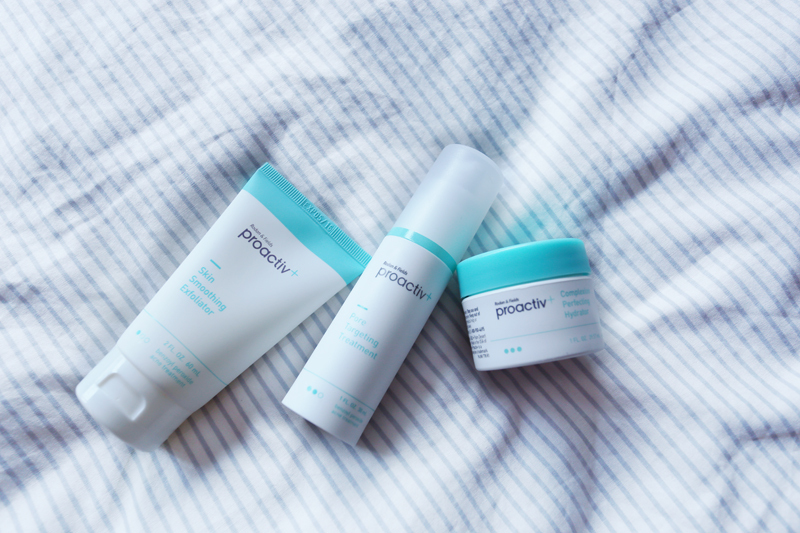 Recently launched in Singapore, the new and improved Proactiv+ has finally arrived! The Proactiv+ range is said to penetrate 2x better directly into the pores making it the fastest, gentlest, most effective Proactiv® The Proactiv+ range has also been enhanced to not only treat acne but also targets other skin issues such as large pores, dry skin, uneven texture and tone, visible dark marks and loss of radiance. 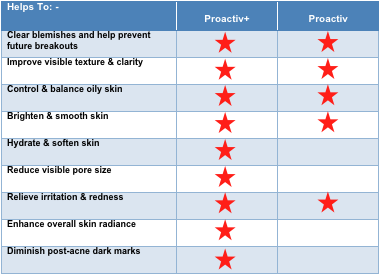 For those who do not know the difference between the improved Proactiv+ and Proactiv, this table helps differentiate between both of the products. As you can see, the additional advantages that the improved Proactiv+ provides a wider range of solutions for the skin. "You do not have acne, why are you introducing us this product?" This is probably a question that might have popped into your head while reading this post so.. Yes I do not have acne but for this posting I have decided to test the Proactiv+ on a family member who has been suffering from acne for the past few years and despite experimenting with various products as well as going for facials etc, the acne won't seem to go away. Hence I have decided to let him have a go with the Proactiv+ range and see how the products have worked for him! I was given a 30 day kit which comprises of 3 different products all to be used step by step, twice a day. 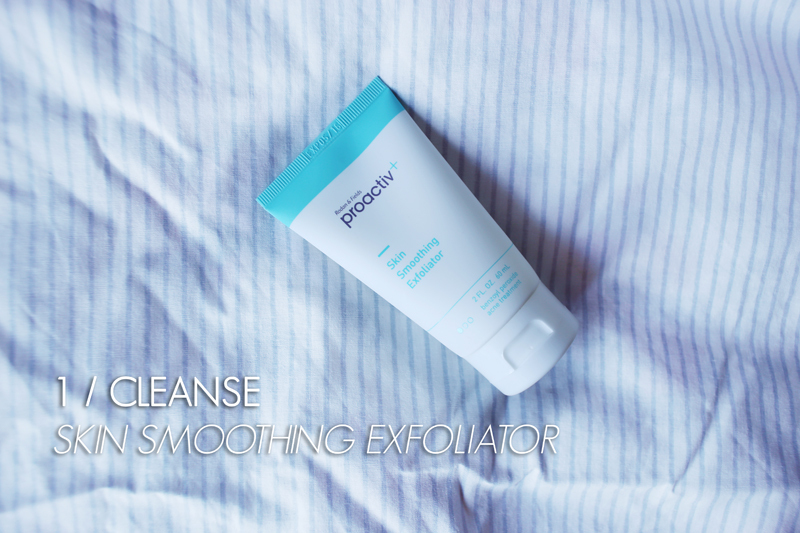 This is the first step to eliminate acne, the Proactiv+ Skin Smoothing Exfoliator helps to gently exfoliate the surface of the skin to remove excess oil, dirt as well as impurities on the skin. This product also contains benzoyl peroxide to aid with killing acne-causing bacteria! There are tiny beads in this facial wash and they are super fine yet effective in cleansing your skin. You can feel that your skin is instantly smoother after one wash! 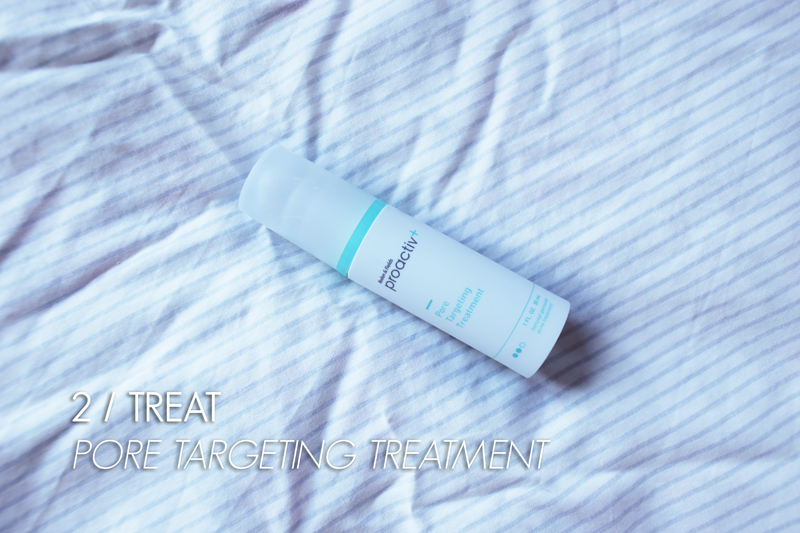 Next step involves disrupting the acne cycle with the Proactiv+ Pore Targeting Treatment which further targets and kills acne-causing bacteria! This product is being delivered deeper into the pore to target the spots where acne starts. This allows the product to fight the acne at a deeper level and at the same time minimize dryness and irritation on the surface of the skin. 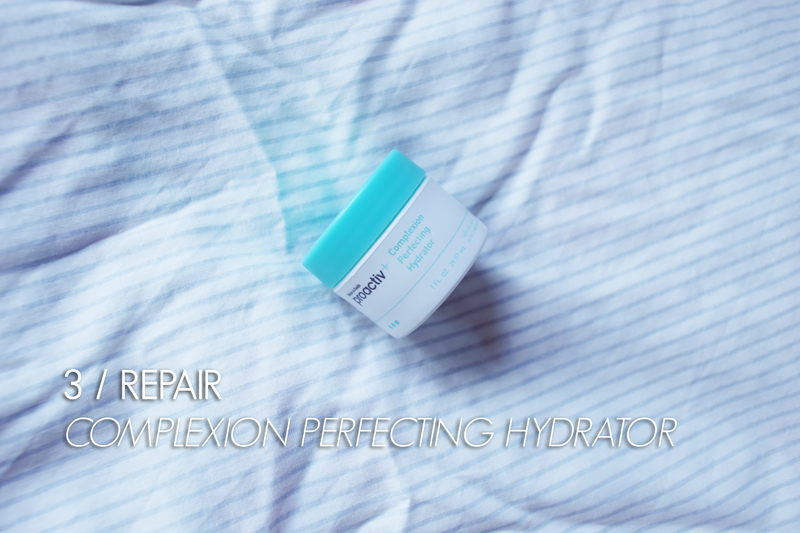 Third comes, repairing the skin! 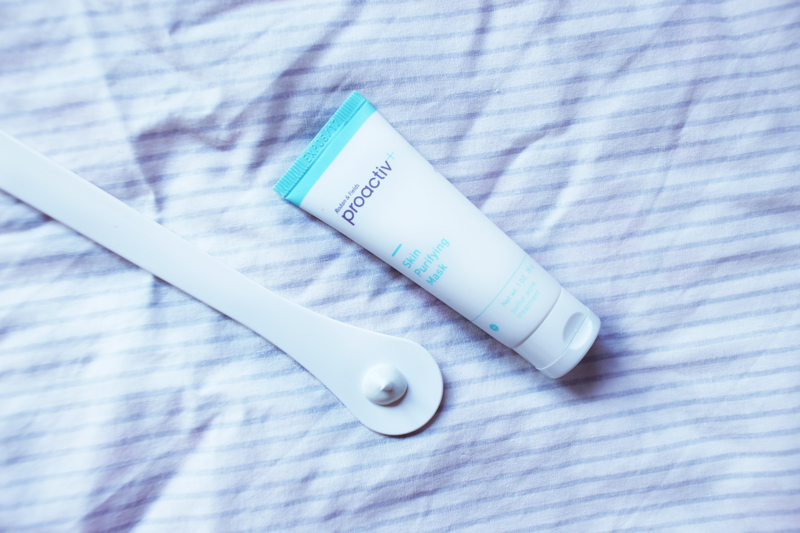 With the Proactiv+ Complexion Perfecting Hydrator this product helps soothe, moisturize and restore the skin's radiance. It is never good to have dry skin as it can further irritate your acne resulting in more breakouts so it is always good to keep your skin hydrated. I absolutely love the texture of this product as it feels very thick and full of moisture yet when applied is readily absorbed and does not leave any sticky/oily residue! Absolutely love this! 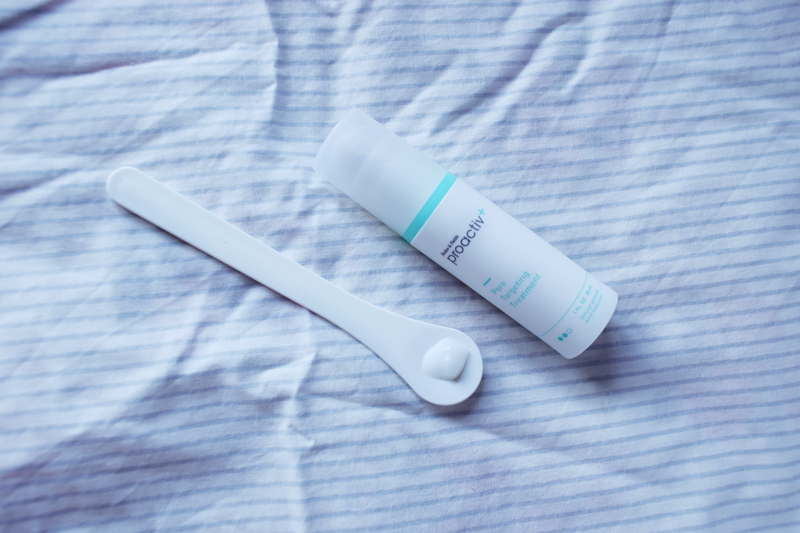 Inside 30-day kit, you will find a FREE Proactiv+ Skin Purifying Mask worth $20. Aside from the 30 day kit, I was also given the Emergency Blemish Relief which I could use for my skin! Being a girl, I tend to get 1-2 zits especially when I'm near the time of the month and this is when these 2 products came in handy for me. Being a fan of clay masks, I was beyond ecstatic to be able to try this out! 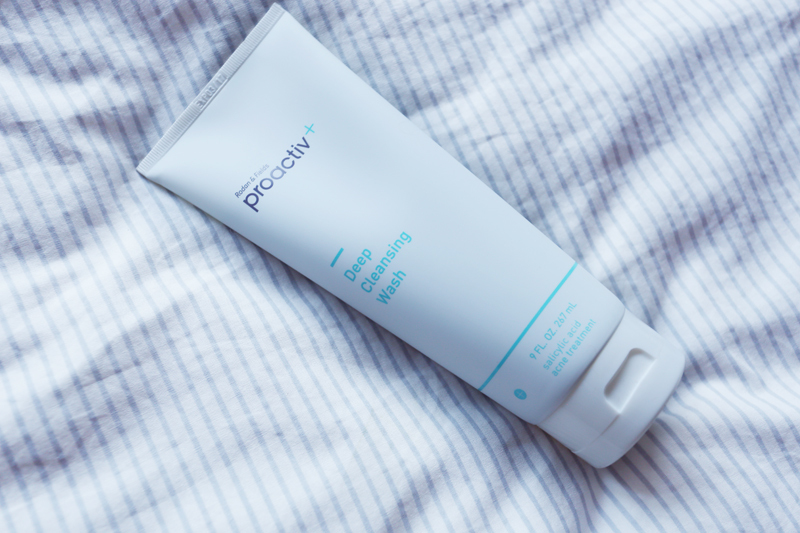 The Proactiv+ Skin Purifying mask contains maximum-strength (6%) sulfur acne medicine to clear pores, heal blemishes and help prevent breakouts. On days when I feel like my skin isn't looking it's best or feeling congested from wearing too much make-up within the week, I will treat my skin to a 10-minute session with this product to cleanse my pores resulting in smoother and brighter skin! As for the angry and red zits which occasionally pops out on my face, this is where the Proactiv+ Emergency Blemish Relief comes in. This product applies on clear and kills acne-causing bacteria on contact, at the same time it hydrates, soothes and calm the skin! 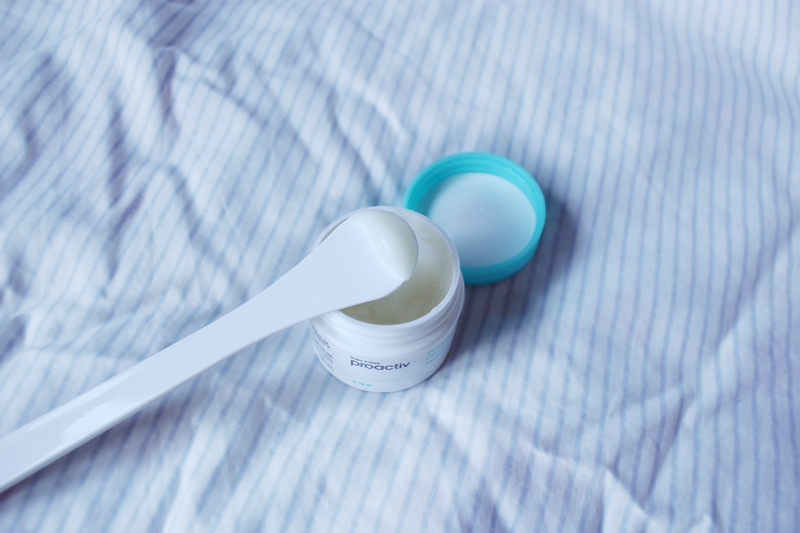 When I felt a small bump/impending pimple, I immediately started treating it with this product and the time it took for my pimple to recover was way faster than usual! It barely developed into a huge pimple like it usually does and that was such a relief for me! Lastly, if you are a victim of body acne... this will be the ideal product for you! It's like using Proactiv+ system on your body! This product contains salicylic acid which is one of the key ingredients to combat acne as well as to clear and prevent further breakouts on your body and at the same time is gentle enough to soothe your skin :) It comes in a huge tube so a little goes a long way! Anyone can use this, even guys! So if your boyfriend/brother/relatives is suffering from this issue do recommend this to them!!! This is before starting on the Proactiv+ range. As you can see there are breakouts which are concentrated on the cheeks, forehead as well as along the sides of his face!